The Dance of Life (1929) is the first of three film adaptations of the popular Broadway play Burlesque, the others being Swing High, Swing Low (1937) and When My Baby Smiles at Me (1948). 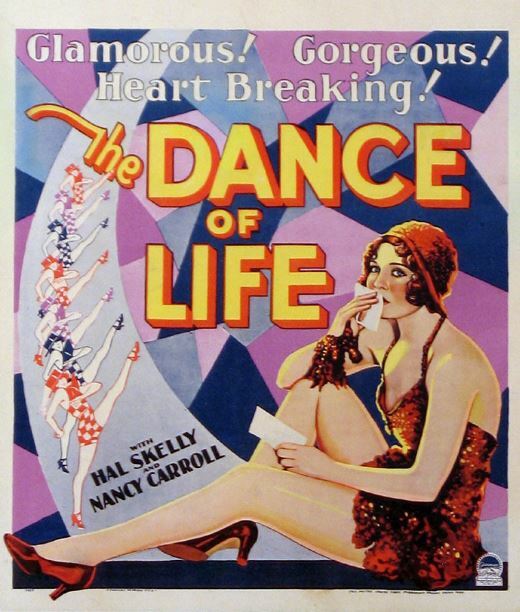 The Dance of Life was shot at Paramount’s Astoria Studios in Astoria, Queens, and included Technicolor sequences, directed by John Cromwell and A. Edward Sutherland. In 1957, the film entered the public domain (in the USA) due to the claimants failure to renew its copyright registration in the 28th year after publication.